Break the monotony of rectangular UPVC windows without compromising on the inward allowance of air and sunshine. 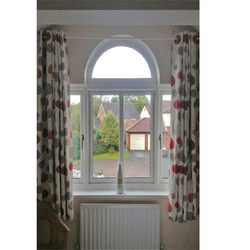 Invite the old-world charm of an arched window and take the aesthetic value of your home to another level. 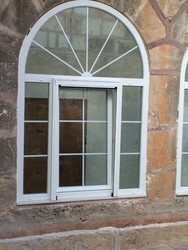 An arched window is rectangular at the base with openable sashes available in various configurations and at the top having a semi-circle or arch shaped fixed window.